Kromski Harp Forte Rigid Heddle Loom - 32"
The Harp Forte Folding Rigid Heddle Loom from Kromski comes with a built-in warping board on the back and it folds for travel! It is made of European alder wood with a clear finish and comes with a 8 dent heddle, 2 stick shuttles, a pickup stick, threading hook, 2 clamps, a warping peg,and warping board pegs. The overall look of the Harp is striking; European alder wood with a clear finish, lots of curves and turned pieces. Your Harp comes with a dent heddle, 2 stick shuttles, a pick-up stick, threading hook, 2 clamps, a warpind peg, warping board pegs, the very helpful “warp helper” plus video. The Kromski Tote, extra heddles, extra heddle blocks (for more complex weaving) and stands are available separately. 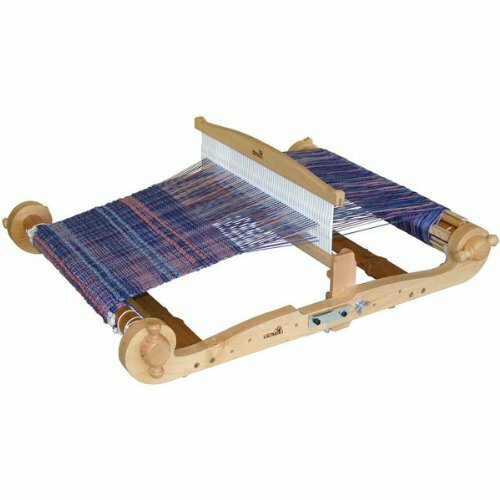 Tag: Kromski Harp Forte Rigid Heddle Loom - 32"
Purchase Kromski Harp Forte Rigid Heddle Loom – 32″ at Discounted Prices ✓ FREE DELIVERY possible on eligible purchases. warping board integral to its design: turn over the loom and you can make your warp (five yards plus). Purchased separately, a warping board will set you back about $70; with the Harp it is part of your package. take your Harp with you: it folds (with warp attached) and fits neatly into the Kromski tote bag. People in mobile homes and boats use the compact Harp because it travels and stores so well. finished wood & striking overall look: European alder wood with a clear finish, lots of curves and turned pieces. Many other rigid heddle looms lack a finish (just bare wood) or charge you more for a finish. Don't compare prices with an unfinished product. You want a finish on the wood for long term protection. 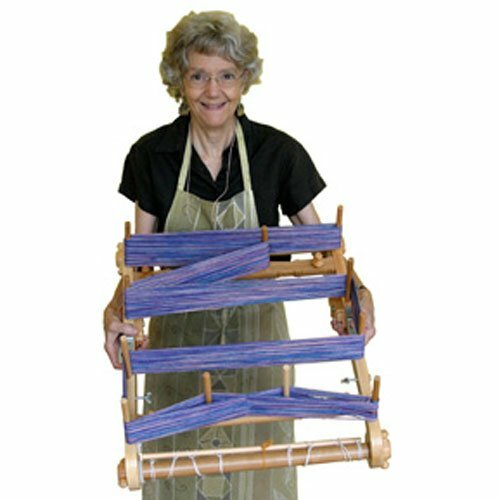 Complete set-up: your Harp comes with a 8-dent heddle, 2 stick shuttles, a pick-up stick (read about the use of a pick-up stick and see how it will add to your weaving projects), threading hook, 2 clamps, a warping peg, warping board pegs and the very helpful "Warp Helper". Just add the yarn. No other rigid heddle loom comes packaged with everything. 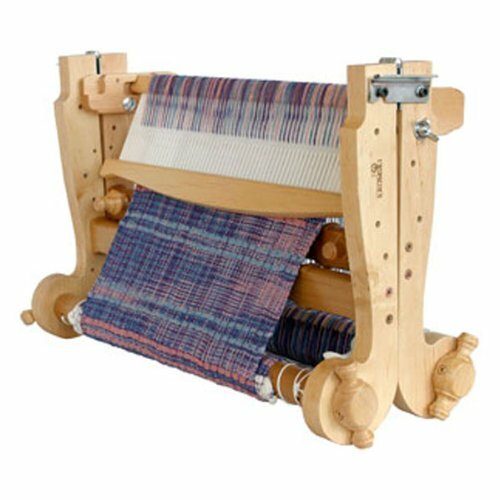 The Harp Forte Folding Rigid Heddle Loom from Kromski comes with a built-in warping board on the back and it folds for travel! It is made of European alder wood with a clear finish and comes with a 8 dent heddle, 2 stick shuttles, a pickup stick, threading hook, 2 clamps, a warping peg,and warping board pegs. The overall look of the Harp is striking; European alder wood with a clear finish, lots of curves and turned pieces. Your Harp comes with a dent heddle, 2 stick shuttles, a pick-up stick, threading hook, 2 clamps, a warpind peg, warping board pegs, the very helpful "warp helper" plus video. The Kromski Tote, extra heddles, extra heddle blocks (for more complex weaving) and stands are available separately. Kromski Harp Forte Rigid Heddle Loom – 32"